The Hague (AFP) - A decision to drag a Dutch activist before a judge for insulting King Willem-Alexander has sparked outrage in liberal-minded Netherlands and prompted prosecutors to re-evaluate the case based on a century-old law. Abulkasim al-Jaberi was arrested in November when television cameras showed him spouting a stream of profanity aimed at the king, Queen Maxima and the royal house. 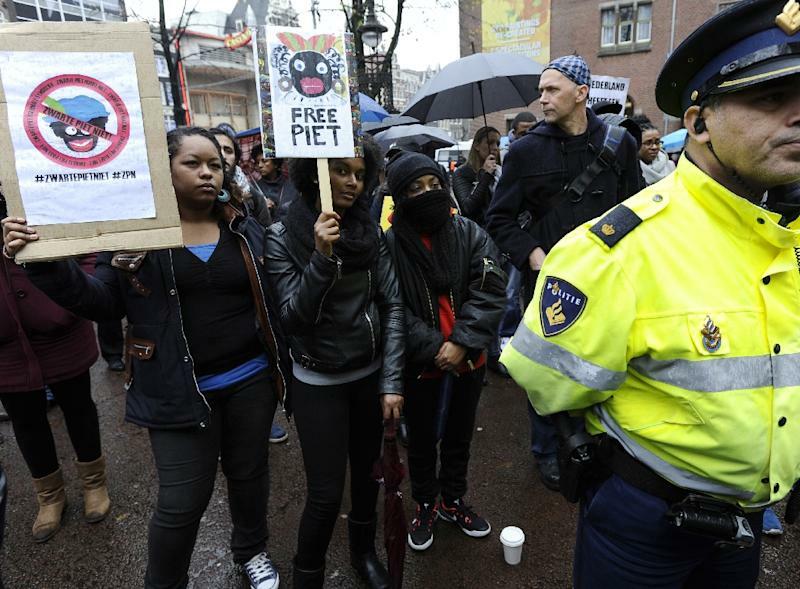 Al-Jaberi was part of a demonstration in Amsterdam against the Dutch "Black Pete" children's figure, which opponents say is a racist throwback. Al-Jaberi, a well-known critic of the black-faced sidekick that appears at the traditional gift-giving festival of Saint Nicholas, was handed a 500 euro ($568) fine afterwards. He refused to pay. Prosecutors said Wednesday the activist would face trial based on a "lese-majeste" or "injured monarch" law harking back to 1881, which makes deliberately insulting the king or royal house punishable with a prison sentence of up to five years or a 20,000 euro fine. The announcement sparked instant outrage in liberal Netherlands, which sees freedom of speech as a fundamental cornerstone. An unknown person spray-painted Al-Jaberi's words on the Royal Palace in Amsterdam, while Twitter saw a stream of similar expletives being tweeted. Online, in newspapers and even in parliament many denounced the lese-majeste law as archaic and hardly in tune with modern-day rights. Prosecutors announced Thursday they were withdrawing the summons for Al-Jaberi's appearance in an Amsterdam court on May 27 "for further investigation," but the charge itself has not been dropped. "The issue of freedom of expression is sensitive in the Netherlands. It's a very important fundamental right," Stef Ketelaar, a lawyer and historian who studied the lese-majeste laws told AFP. The progressive D66 party asked Premier Mark Rutte in parliament "at what point does freedom of expression and the right to demonstrate outweigh the lese-majeste law?" "What justifies punishing somebody who insults the king or queen and how is that different from insulting ordinary citizens or groups?" asked D66. Amsterdam's open-minded mayor Eberhard van der Laan said he "laughed" when he heard of the summons and described the law as outdated. "I know the king a little and I think he sees it more democratically than the law itself does," Van der Laan told Het Parool newspaper. Prosecutors pulled the summons after Al-Jaberi's lawyer filed an objection amid an public avalanche of outrage. "I was surprised by the emotional reaction," Amsterdam Prosecutor's Office representative Willem Nijkerk told daily tabloid Algemeen Dagblad. "We didn't see this coming," Nijkerk added. 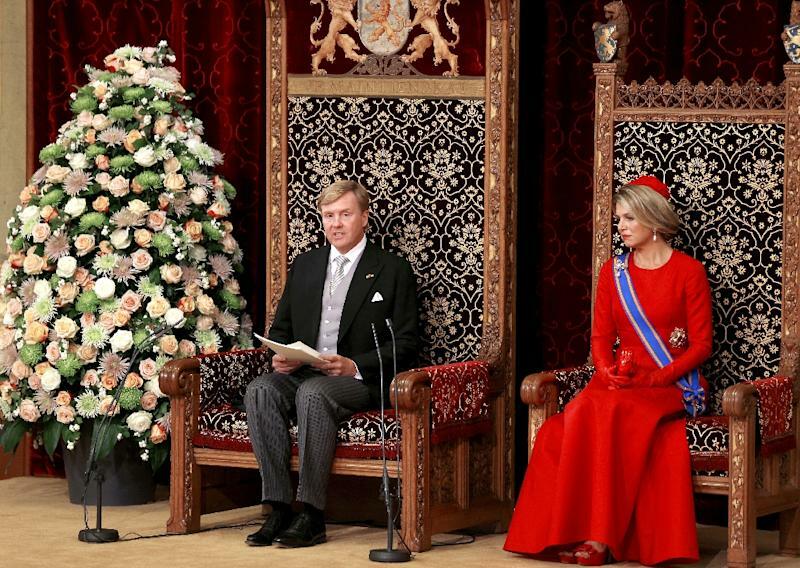 Prosecution in the Netherlands for insulting the royals is rare and they are often satirised in television shows and on stage. Prosecutors say the context in which insults are uttered plays an important role. "There are cases where freedom of speech prevails, for instance for comedians or those involved in public debate," prosecution spokesman Franklin Wattimena told AFP. In Al-Jaberi's case prosecutors believe his abuse against the royals had nothing to do with the anti-Black Pete protest. AL-Jaberi's lawyer Willem Jebbink, however, argues the opposite, saying his client "made a comparison between Black Pete and our slave history... and attributed it to the royal house". Elsewhere in Europe, lese-majeste laws also apply for instance in Spain, Monaco and Sweden. Britain too has lese-majeste laws but has not applied them for more than a century, Dutch media reports said. In Thailand, a man was jailed last month for two years for selling books that allegedly defamed the monarchy, the latest in a string of convictions under a similar law.